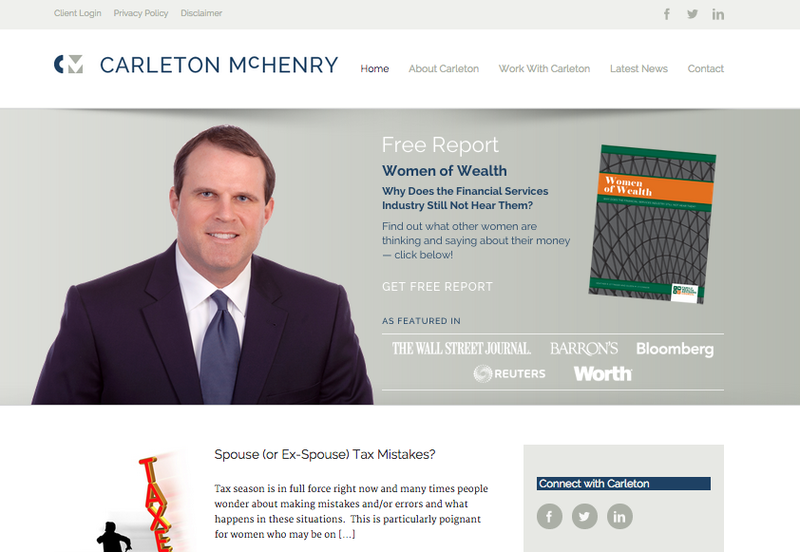 Long-time client financial planner Carleton McHenry was in the process of updating his company website. Realizing the importance of personable portraits in connecting with new and old clients alike, Mr. McHenry came back to Innovative Images for some new business portraits. Carleton scheduled a session, showed up with a classic suit and some dapper ties, and we were on our way to a brand-new set of business portraits. This most recent round of portraits was a full on photo shoot! Multiple outfit changes, poses, and jokes exchanged. We made sure we covered all of Carleton’s potential photographic needs. 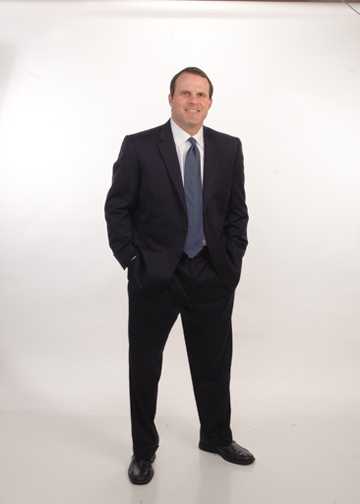 Now he uses these various new business portraits in addition to his original executive headshots in all his company materials, brochures, advertisements, websites, and social networking profiles. We specifically edited each of his portraits to create two versions – one with the background and one without. The portraits without a background were perfect for Carleton’s website where he could place his image and blend it seamlessly with the site’s background or a previously designed header. 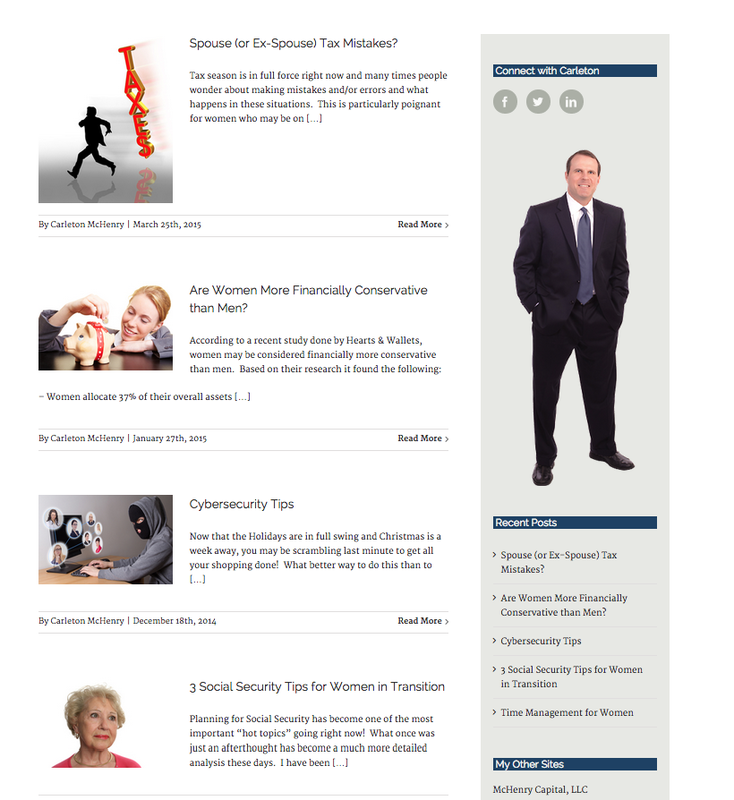 Head on over to Carleton’s website for more information on wealth management for women in transition (and what exactly a “woman in transition” is). 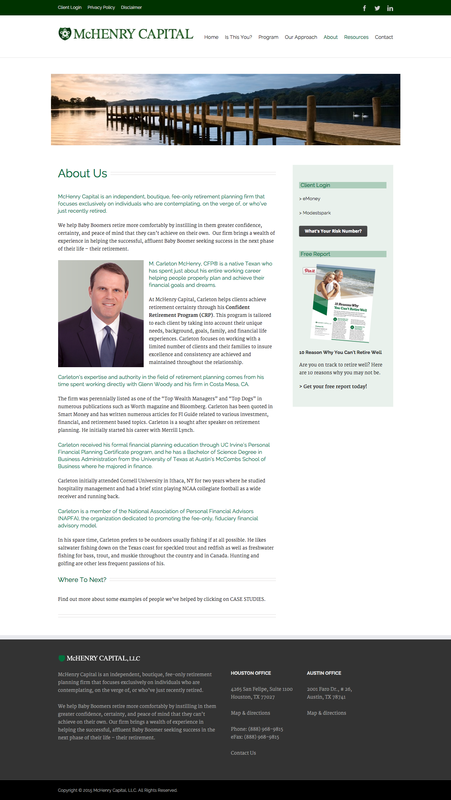 McHenry Capital website uses professional business portrait photography to add a sense of approachability and professionalism. Innovative Images Photography by Robert Berger photographs you to look your best, whatever you needs. Let our team help you promote yourself and your business through stunning executive photography for your business cards, websites, company directories, promotional materials, and more – call us at 281-531-5269 to book your business portrait appointment today! We want every customer to be completely satisfied with our work. Robert photographs individuals in a manner that is flattering, projects energy, enthusiasm, and friendliness. Your final executive portrait is retouched in a natural way so you will look your best. Robert Berger is an award winning executive portrait photographer who has been in business since 1985. He is a member of the Professional Photographers Association (PPA) and the Professional Photographers Guild of Houston (PPGH). Innovative Images Photography by Robert Berger has a 5-star rating on Google and the most reviews of any professional photography studio in Houston.